Many thanks to Janice Maurer Erickson for supplying this information. 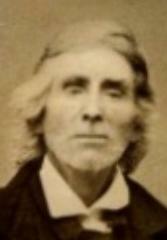 The book THE UNDERWOODS FAMILIES IN AMERICA states that Phineas, Jr. was an intense abolitionist in early anti-slavery days; a teacher in the public schools and a surveyor and assessor in Cass County. Per family history, in 1833 Phineas and his father had a dairy in New York City that failed and they came to Illinois. Phineas Sr. had previously traveled to Cass County, then part of Morgan Co to secure land here owed him as a veteran of the Revolution. There is some documentation about this in the Congressional proceedings of the 1820s. On their trip to Illinois, family history relates that as they were coming down the Ohio River there was a great meteor shower. Susan did not come up on deck to see it as she was pregnant with Rachel. History reports that on November 13, 1833 there was a great meteor shower. Appeared on the voter list in Cass County in 1837. Was first head of Cass County Masons. His picture hangs in the Beardstown Masonic Lodge. The Grand Lodge of Illinois meeting at Jacksonville October 2, 1843 -- resolution issued to charter the Cass Lodge, as Lodge #23. Phineas Underwood as Master and 14 members. Met in Virginia. In 1845 the Meeting place was changed to Beardstown. Last Monday evening our city was startled by the intelligence that Phinehas Underwood, an old and respected citizen of this county had been struck by the train on the Wabash railroad. On hearing of the accident a GAZETTE reporter went out to the Wabash depot, and succeeded in gathering the following particulars: It appears that Mr. Underwood had left his farm, some six or seven miles northeast of town, late in the afternoon on his way to his daughter's, Mrs. Rachel Anderson, of this city. Arriving at Anderson, a small station within two miles of this city, he sat down on the railroad track and waited the coming of the 7 o'clock passenger to bear him the rest of his journey. As is the usual habit of all passengers, he stepped to one side of the track and flagged the train by a wave of his hand. Just as the engine approached him greatly slackened up, but not sufficient to come to a stop, Mr. Underwood returned to the track and was in the act of picking up his cane or some other article which he might have dropped while waiting, when he was struck on the left side of the head, fracturing the skull and knocking him senseless, from which time he was unconscious of all surroundings, not being able to speak or recognize any of his family. In this condition he was put aboard the train and brought to the depot, and from there conveyed to the residence of his daughter above mentioned. Drs. Hubbard and Colladay were immediately summoned, and did all in their power to ease their sufferer's pains, but to no avail, and at 8:30 his soul passed on to another and better world. Mr. Underwood was in his 85th year, and for many years resident of this county. He was a man well spoken of by his neighbors and fellowmen, as a sober, industrious and law abiding citizen, whose courteous friendship will be greatly missed by many. Deceased was the father of three surviving children, Mrs. Rachel Anderson of this city, Mrs. Susan Cowan, who now resides upon the homestead, and Thos. Underwood, of Missouri, who have the heart-felt sympathy of the community. Mr. Underwood was a member in good standing of the Masonic Order for sixty years; he was also a faithful and devoted Christian for fifty years, and at the time of his death an honored member of the M.E. Church. Funeral services were held at the residence of his daughter, in this city, on Thursday, after which the remains were interred in the Biddlecome graveyeard, followed to their resting place by a large concourse of relatives and friends. Note that the Biddlecome cemetery is also known as the Powell cemetery and is located on Shiloh Road West of Campbell Road.